I am a cardiothoracic surgeon (also known as a ‘heart and lung surgeon’ or ‘chest surgeon’). I passed the Royal Australasian College of Surgeons fellowship examination in Cardiothoracic Surgery in 2005. Along the way, I also completed a PhD in heart transplantation at the Victor Chang Cardiac Research Institute / UNSW in 2002, passed the Royal Australasian College of Surgeons fellowship examination in General Surgery in 2000 and completed a MBBS at Sydney University in 1992. During my training in cardiothoracic surgery I worked at the Royal Brompton Hospital in London, The Children’s Hospital at Westmead and St Vincent’s Hospital in Sydney. 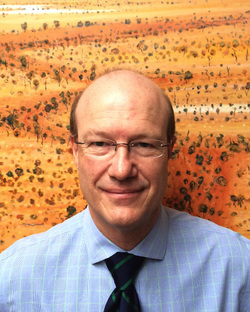 Since obtaining my fellowship I have worked as a locum surgeon at The Canberra Hospital, John Hunter Hospital, Royal Adelaide Hospital and Liverpool Hospital and as a fellow at Westmead Hospital and Prince of Wales Hospital. During this time I have obtained a broad experience in all aspects of cardiothoracic surgery. My cardiac surgical interests include coronary artery bypass graft surgery, aortic valve replacement and insertion of both pacemakers and defibrillators. My thoracic surgical interests include lung cancer and acute problems such as empyemas, pneumothoraces and pleural effusions. By nature, I am a conservative surgeon with a strong focus on patient safety. The facilities required for heart and lung surgery are only available in a limited number of major metropolitan hospitals. Not surprisingly, most cardiothoracic surgeons are based in or around these metropolitan hospitals. However, when I decided to enter private practice in 2016, I decided to take a different approach. 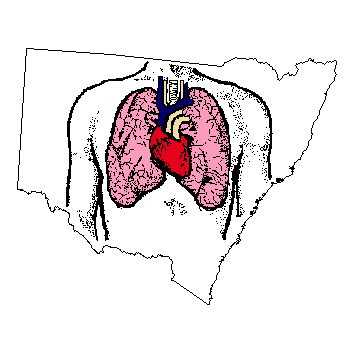 I committed myself to making country and coastal patients the focus of my new practice - the ‘Regional New South Wales Cardiothoracic Surgical Service’ – by establishing clinics in regional centres so that patients could see me closer to home rather than travelling to Sydney. Why did I decide to do this? Because long before I became a cardiothoracic surgeon, I was a country boy. I was born and raised in Wellington in the Central West of NSW. My father was a stock & station agent and my mother’s family were on the land. So, the Regional New South Wales Cardiothoracic Surgical Service gives me the opportunity to both get back to the country and to give back to the country. My motivation aside, the need for improved access to specialist healthcare in regional NSW is obvious. This is particularly so in a speciality like cardiothoracic surgery because many of the patients are elderly and find it difficult to negotiate their way around the city to attend appointments. Besides, I just think it makes more sense for me to travel to a regional centre to see multiple patients rather than multiple patients travelling to the city to see me. What’s more, I am hoping that by spending time in the regional centres I will form closer relationships with the local specialists and GP’s and that this will allow me to provide better pre- and post-operative care than I would if I was just consulting in Sydney.